The design of the the Cold Steel Finn Wolf was inspired by the classic Puukko Finish hunting knife. Representing a collaboration with custom knife-maker Andrew Demko, the Finn Wolf utilizes the highly functional blade shape of the Puukko in a heavy duty EDC folding knife. It is equipped with Cold Steel's Tri-Ad lockback mechanism that adds new levels of safety and security. The blade is made from Japanese AUS8A steel with an easy to sharpen zero grind edge. It also includes a lanyard hole and a reversible pocket clip for versatile carrying options. 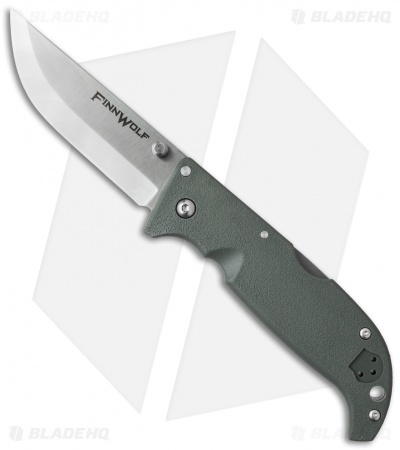 The Finn Wolf offers dependable quality and a classic blade design at a price that is too good to pass up! I’ve had this knife for like 3 1/2 years. It holds its edge really nice, its really easy to sharpen, thats scandi grind is awesome for any type work i’ve put it up to. The only complain i’ve had with it is that the steel it has is not very corrosion resistant like other steels. Then this is probably a knife you will want. Do you love Scandinavian grinds like those found on Sweden's favorite knife, Morakniv? Want a way to conveniently and practically take it with you in your regular everyday normal life? Well, fold it in half! That's what coldsteel has done for us here. Finally a Mora I can EDC! Same great ease of sharpening, very lightweight, cheap like a mora, as strong as a fixed blade (like a mora) thanks to the triad lock. It's maybe not the easiest to unlock but that's the downside to such a strong lock. no more crappy sheaths and belt clips like mora, just put this bushcraft buddy in your pocket and be free! The Finn Wolf has proven itself to a be an excellent woods companion when I don’t feel like carrying a smaller fixed blade alongside my primary knife. The AUS-8A blade and scandi grind combine to create a knife that excels at whittling, carving, and even feathersticking. Although it won’t be as ideal as a flat grind, the scandi ground blade also offers adequate food prepping capabilities. The handle is comfortable and fits well, but is lacking any meaningful traction plan (not that it is entirely necessary). While the TRI-AD lock offers a secure and safe lockup, I have noticed some side to side play develop with use. I suspect this can be eliminated with some pivot adjustment. Just a word of warning, Cold Steel’s AUS-8A WILL rust on you, so if you get it wet make sure to wipe it down after use. If you need to do a more thorough cleaning of the blade, the disassembly of this knife is very straightforward. 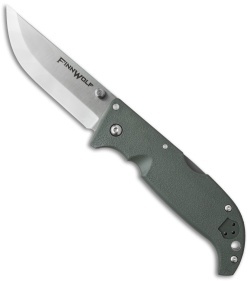 A no-nonsense folder, the Finn Wolf is at home in the woods. The scandi-grind is well done and the handle material won't shred your pocket. It's a knife that wants to work and nothing else. 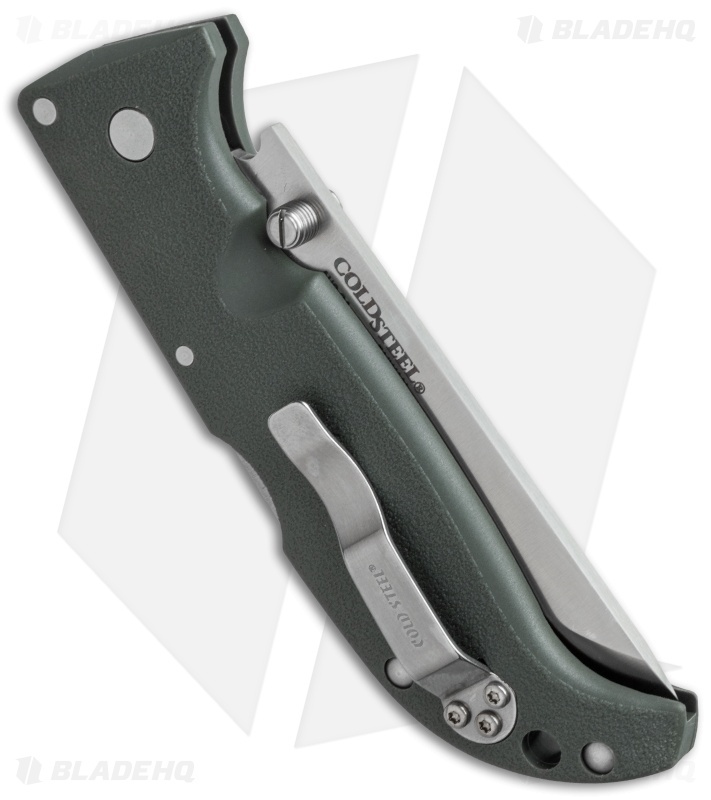 The Codl Steel Finn wolf is a great folder for hikers or outdoorsmen. The Aus8 A is cryo quenched, takes an extremely fine edge and the scandi grind makes it a excell at wood tasks. It comes with a very sharp 90 degree spine for removing bark, creating fine tinder or striking a ferro rod. Some complain about the thumbstud when sharpening but since it's removable with a flathead, its really a non-issue. The pocket clip is not like the one found on the recon 1,voyager, or lawman. Goes in and out of pocket very smoothly and retains fairly well. It does ride a bit high in the pocket but in the woods, it's not a big deal. 4/5 Stars just because a scandi isn't the best for EDC but that's not why I bought the knife.